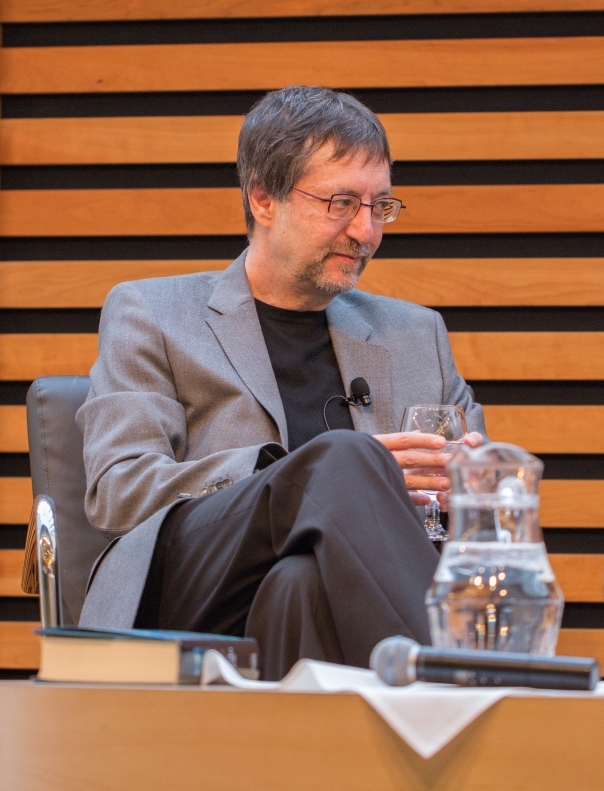 Guy Gavriel Kay at the Appel Salon, Toronto. Photo © Alex Hoffman. Guy Gavriel Kay has been writing epic stories for many years. From the high fantasy of The Fionavar Tapestry to magic-tinted analogous histories in Tigana, A Song for Arbonne, and The Sarantine Mosaic duology, Kay’s style weaves together sweeping narratives with poetic, pitch-perfect writing. 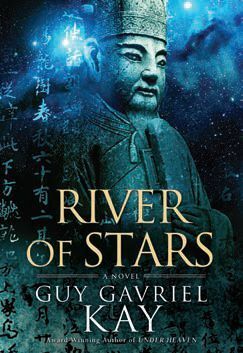 In his new book, River of Stars, now available from Penguin Canada, Kay returns to the land of Kitai, which he first introduced in Under Heaven. 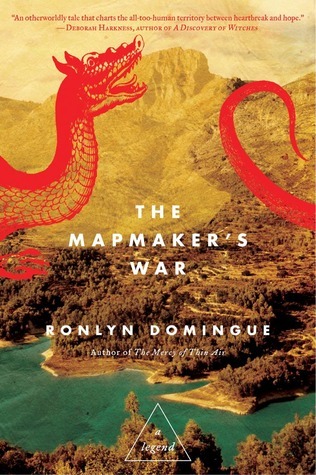 In a setting based on Song-Dynasty China, we meet the ambitious warrior Ren Daiyan, a second son who wants to win military glory and take back lands long lost to Kitai, and Lin Shan, a woman educated by her father in a way that only boys are allowed. Poet, songwriter, and thinker, Shan must navigate a society that wants her to be much less than what she is. 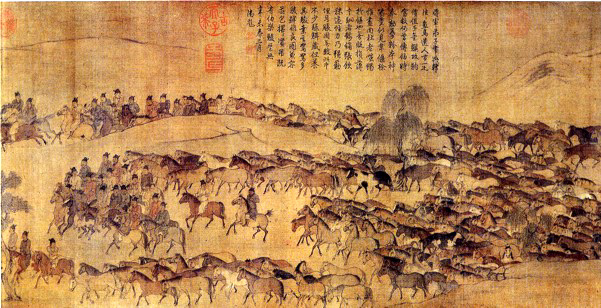 As the face of Kitai shifts once more, as war looms and “barbarians” encroach, Daiyan and Shan move and are moved by the currents of history. . . I have always been fascinated with the way you tell stories in worlds close to our own but a little removed: something like medieval Italy in Tigana, Moorish Spain in The Lions of al-Rassan—a world you revisited in the Sarantine Mosaic duology—medieval Provence in A Song for Arbonne. Can you talk a bit about how you choose time periods and geographies, and why you set your books in (historically accurate and meticulously researched) analogues rather than the actual historical places in our own world? Huge, very good question. I’ve done speeches and essays on this, so a sound bite is hard! Certainly there is no rule or formula for “where I go” in a next book. So far (knock wood) I seem to always end up with a time and place that fascinate me. I do that “quarter turn to the fantastic” for many reasons (see “speeches and essays,” above!). One is that I am not happy about pretending I know the innermost thoughts and feelings of real people. I don’t like “piggybacking” on their fame (or even taking obscure people and allowing myself license from that obscurity). I find it creatively liberating and ethically empowering to work in the way I do. There’s a shared understanding with readers in this: that when we explore the past we are always inventing, to a degree. I also like how a slight shift to the fantastic allows me to sharpen the focus of the story towards those themes and elements I want the reader to experience most clearly, and I can even change things, keeping even those who know the history on their toes!